Luke is easily one of the biggest stars in country music and we’re not talking about Luke Bryan. Luke Combs, ladies and gentlemen, has become one of the fastest rising artists in country music and seeing his growth in just a few years has been nothing short of beautiful crazy- pun intended. He is dominating it in the country music world and we’re loving it. 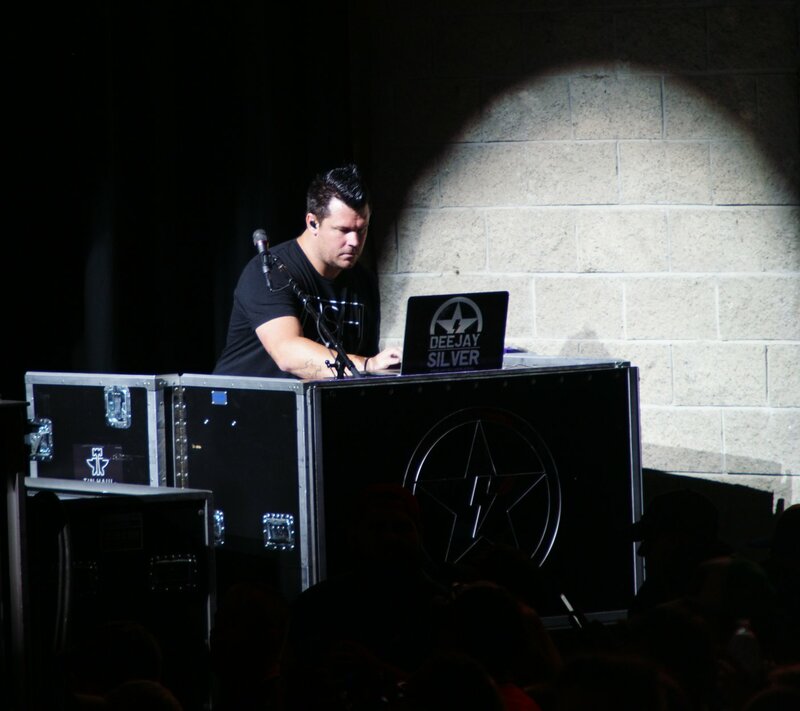 Back in 2016, we had the opportunity to chat with Luke backstage at Mohegan Sun when he was opening for Brantley Gilbert. This was before his smash debut single, ‘Hurricane,’ even touched the charts. And since then, Luke’s career and place in country music has truly skyrocketed. His debut album, ‘This One’s For You,’ hit the top of the country albums charts. It’s also been certified Double Platinum by the RIAA and the success led to him even releasing a deluxe version. His first 5 singles released from that album have all been Number Ones. And all of them have been certified at least Platinum with ‘Beautiful Crazy’ being 2x Platinum and ‘Hurricane’ and ‘When It Rains It Pours’ being 3x Platinum. His latest single, ‘Beautiful Crazy,’ has been sitting at the top of the charts for the last 6 weeks- an unbelievable run! Luke also has a couple awards already under his belt. He won the iHeartRadio Music Award for New Country Artist of the Year and the CMA for New Artist of the Year in 2018. A few weeks ago, he took home the iHeartRadio Music Award as Country Artist of the Year, beating out Carrie Underwood, Jason Aldean, Luke Bryan and Thomas Rhett. He has also already announced as an ACM Award winner for New Male Artist of the Year. He is also nominated for the Male Artist of the Year this weekend, which we wouldn’t be surprised if he won. And the dude is absolutely killing it on the road. Sold out show after sold out show. His tickets do not last. Tickets for his show at Mohegan Sun later this year sold out this morning in minutes. And he’s not just playing small venues that are easy sell outs. We’re talking about arenas of 10,000+, that’s no small feat. Especially for an artist who is considered as ‘new’ by the major award voting houses. Luke is an absolute rockstar. He puts out great music. He puts on a great show. And fans recognize it. 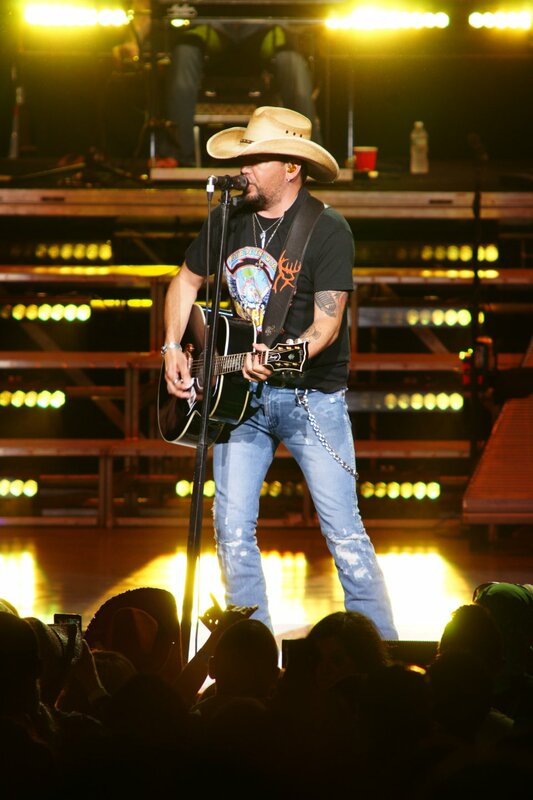 He’s the hottest name in country music and the hottest ticket in town! Yeah, it’s been pretty damn cool to see. Luke has 2 shows in New England this year, 1 in Gilford, NH in June and another in Uncasville, CT in the fall. Both are SOLD OUT! In case you haven’t seen, we’re giving away 2 tickets to his SOLD OUT show in New Hampshire PLUS 2 passes to go backstage and MEET Luke before the show at out ACM Awards Party this Sunday night! Tickets for the party can be purchased here. This entry was posted in Home page blog and tagged Luke Combs, NECM, New England Country Music on April 5, 2019 by New England Country. With the release of ‘Beautiful Crazy,’ we got the first taste of the new recordings to be featured on Luke Comb’s upcoming deluxe album. The follow up to his Gold-certified debut album, ‘This One’s For You Too’ is slated to be released on June 1st. It will include the 12 original tracks from ‘This One’s For You,’ ‘Beautiful Crazy,’ and 4 other previously-unreleased songs. 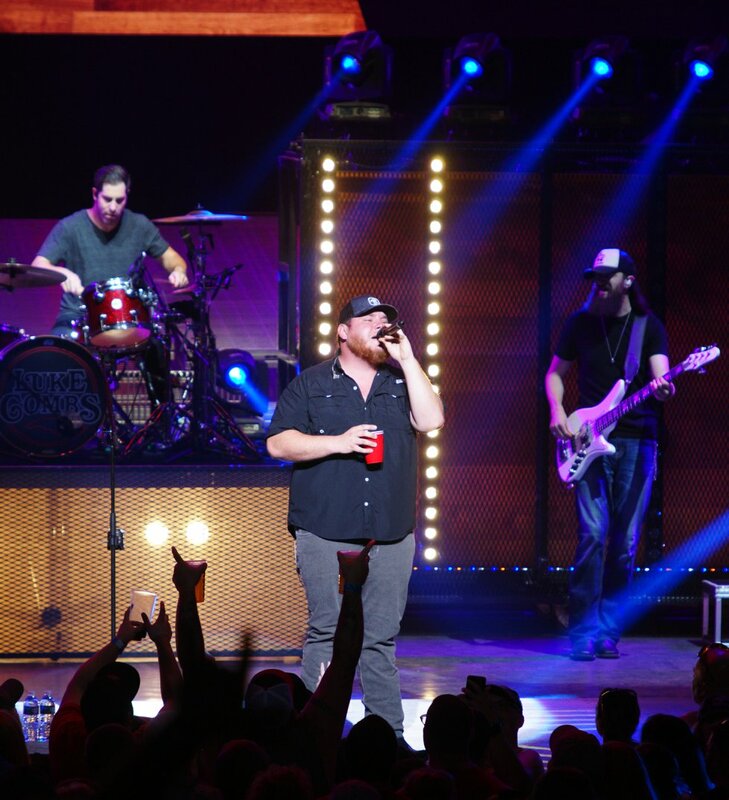 Familiar to any fan of Luke Combs, ‘Beautiful Crazy’ became a staple in his live shows after a video of an acoustic performance was posted to Facebook in 2016. With over 3 million views, it was clear that fans connected to this song. Combs can be quoted saying, “Give the people what they want. This is the song they want,” in the video released of him recording ‘Beautiful Crazy.’ With such a following, it is not a surprise the fan favorite song hit number one on the iTunes All Genre Songs Chart immediately after its release. ‘Beautiful Crazy’ is the kind of love song country fans eat up and it is easy to understand why. The love displayed appears to be genuine and sweet as Combs mentions many things that could be considered flaws as the reasons he loves this girl. He sings, Takes forever getting ready, so she’s never on time for anything and She makes plans for the weekend, can’t wait to go out, Till she changes her mind. The character development of his love interest is specific enough to be believable, but is something that most people can relate to. It speaks to the core of what love is about, finding someone who believes our particular kind of crazy is beautiful. The reigning iHeartRadio Music Awards Best New Country Artist does not hold back when performing this song. The soulful love ballad perfectly showcases Combs’ vocal talent as the passion in his voice pushes the song to another level. 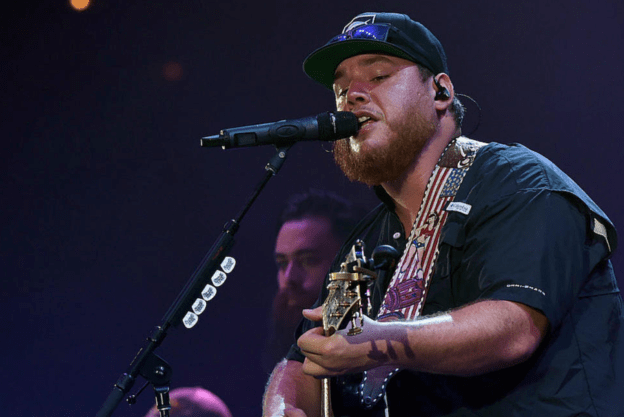 Songwriters Luke Combs, Rob Williford and Wyatt Durrette crafted ‘Beautiful Crazy’s lyrics to complement this vocal intensity. Lines, How I’m such a fool, yeah I’m such a fool for her and Well it kinda scares me the way that she drives me wild, create a sense of vulnerability and authenticity directing the song’s focus to Luke’s loving feelings. ‘Beautiful Crazy’s slow melody and catchy lyrics captivate listeners. The song has a way of infiltrating your core, instantly you are humming or singing along. The catchy chorus, Beautiful, crazy, she can’t help but amaze me, The way that she dances, ain’t afraid to take chances, And wears her heart on her sleeve, Yeah, she’s crazy but her crazy’s beautiful to me, only adds to this sensation. At live shows, this is the song that will make you take out your cell phone light and sway back and forth. If you are looking to do just that, Luke Combs will be joining Jason Aldean on the road this summer for the High Noon Neon Tour. Scheduled New England dates include May 25th in Hartford CT at The XFINITY Theatre, May 26th in Mansfield MA at The XFINITY Center, and May 27th in Bangor ME at Darling’s Waterfront Pavillion. Favorite Lyrics: Well it kinda scares me the way that she drives me wild, but she drives me wild. You can get your copy of ‘Beautiful Crazy’ here and keep up with all things Luke Combs on his Website, Facebook, Instagram, and Twitter. This entry was posted in Home page blog, Reviews and tagged Beautiful Crazy, Luke Combs, NECM, New England Country Music on May 22, 2018 by AlissaNECM. Just as he did with ‘She Got the Best of Me’ and ‘Hurricane,’ Combs wins us over time-and-time again as he reminisces over an old love interest. ‘One Number Away,’ written by Combs, Sammy Mitchell, Steven Andre Battey, and Robert Williford, does exactly that! With his third single off his debut album, ‘This One’s for You,’ gets you thinking about an ex, wondering what they are doing and if they are thinking of you too. We have all had a time or two where we find ourselves thinking about calling that one person we maybe, shouldn’t be calling. The slow intro and each strum of the guitar reels you in creating that feeling of heaviness and gloom that thinking about your ex sometimes leaves you with. You wonder how they are but then the hook picks up. The recently released music video displays that rainy day feeling these cords depict so well. ‘One Number Away’ is a song you want to see live. 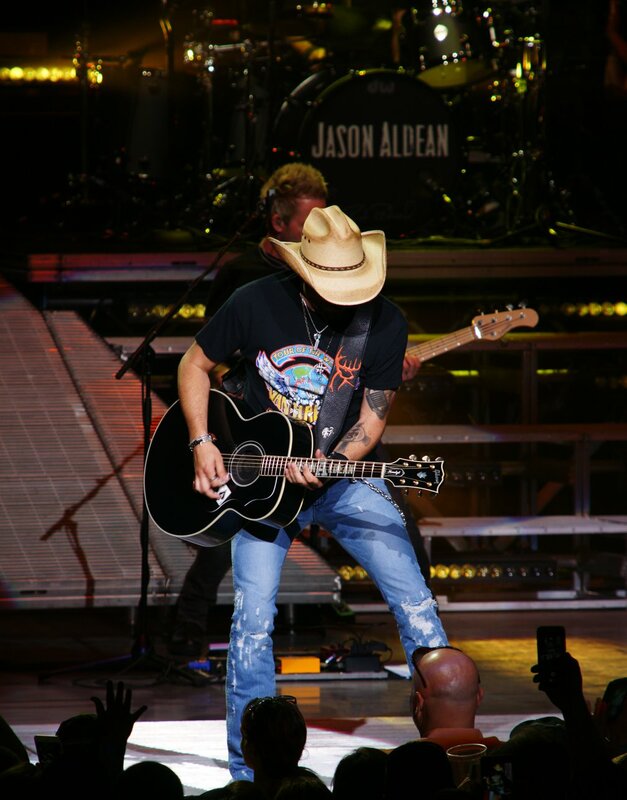 And while he is rounding out his own headlining tour Don’t Tempt Me With a Good Time, he will be joining Jason Aldean on his High Noon Neon tour coming to New England the last weekend of May. You can check all additional dates here! This entry was posted in Home page blog, Reviews and tagged Luke Combs, NECM, New England Country Music, One Number Away on February 7, 2018 by LaurelNECM.